Peach is a social network reinvented for the present, abandoning legacy conventions and taking advantage of the latest tech. We created a simple interface for posting that was inspired by text messaging. 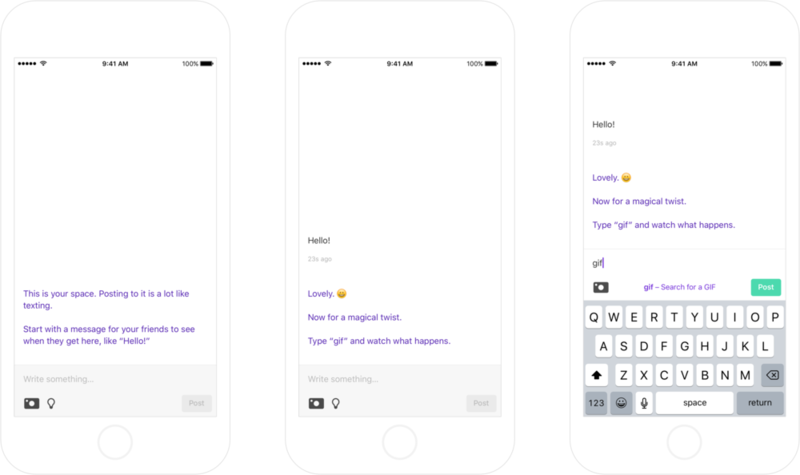 Simply by typing in a word like gif, game, move, weather, or draw, you can access advanced capabilities and add rich content. And since the extra capabilities don’t use valuable UI real estate, features can be regularly added without increasing complexity or bloat. 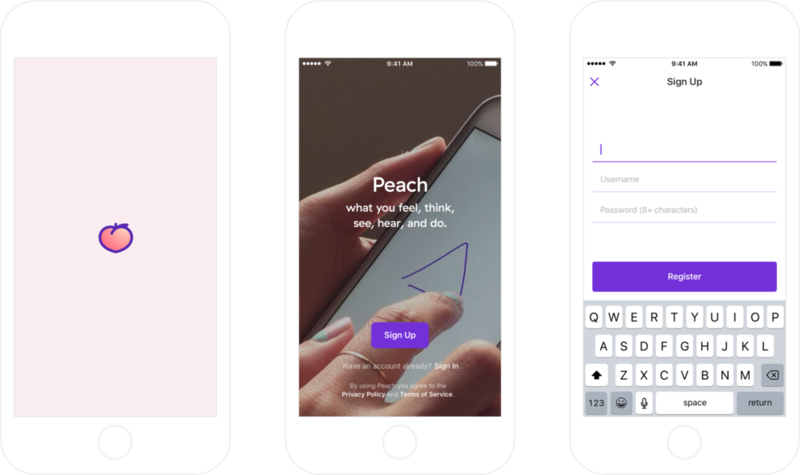 Read an overview of Peach from The Next Web and view a teardown of Peach’s onboarding process.